1. Preheat the oven to 350F. Line a 12-cup muffin pan with paper liners..
2. In a medium bowl, whisk together flour, baking soda, spices and salt. 3. In a large bowl, beat together sugar and eggs until smooth. Whisk in melted butter, orange juice and vanilla extract. Gradually stir in flour mixture until only a few streaks of dry ingredients remain. 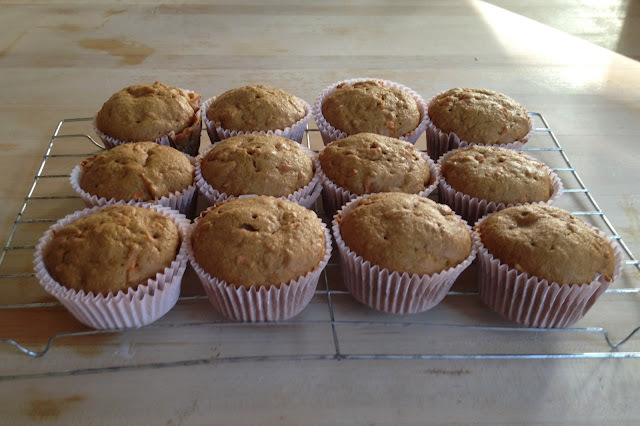 Stir in shredded carrots, then divide evenly into prepared muffin pan. 4. Bake for 16-18 minutes, until a toothpick inserted into the center comes out clean. 5. Cool completely on a wire rack before frosting. Note: I always substitute applesauce for eggs. And rice milk in place of milk. 1.Beat together butter and cream cheese in a medium bowl. Beat in milk and vanilla extract, then gradually blend in the confectioners sugar until frosting is thick and creamy. 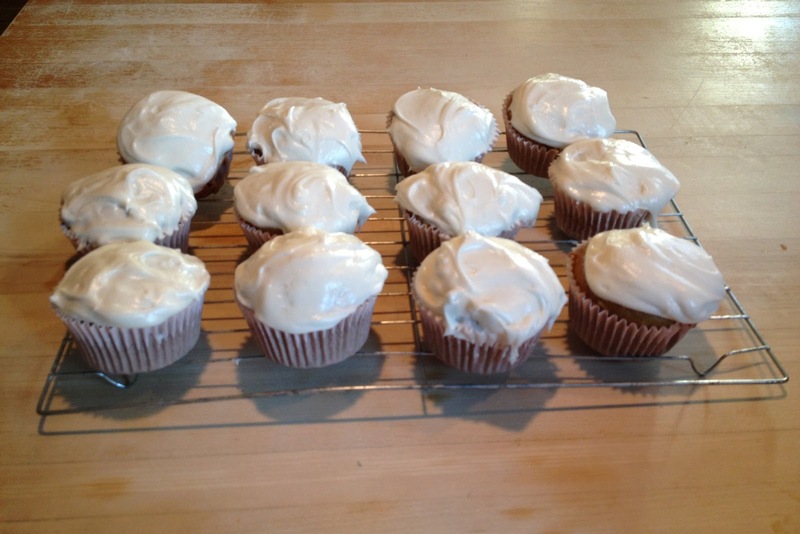 2.Spread frosting evenly on top of cupcakes, save a little to make carrot decorations on top. mmmm I like carrot cake, but I've never had cupcakes. I like how you didn't skimp on the frosting. That's my favorite part!